Is there a better alternative to Audio Genesis? Is Audio Genesis really the best app in Music category? 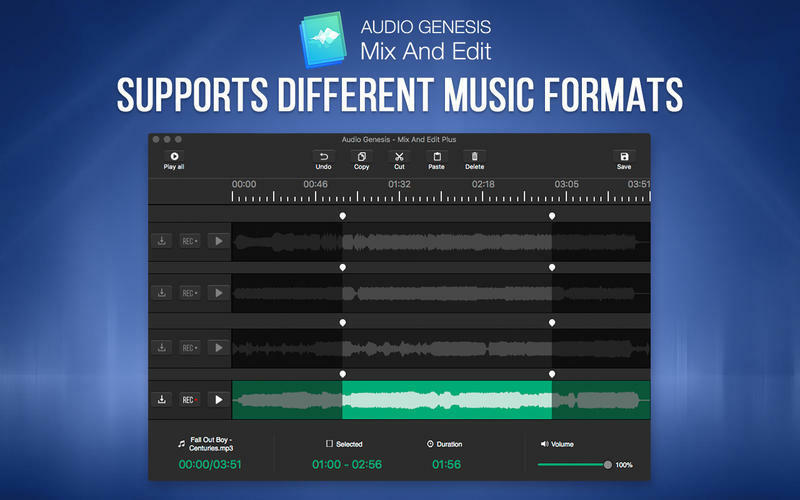 Will Audio Genesis work good on macOS 10.13.4? 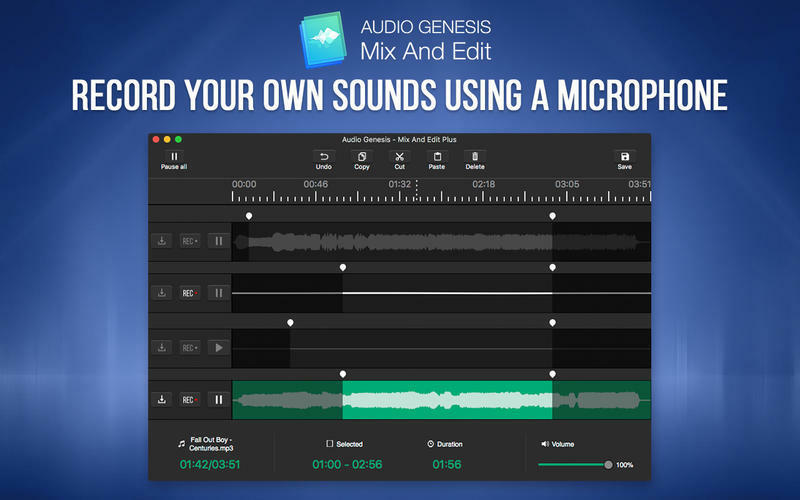 Audio Genesis is a an excellent utility for audio recording and its further edition. Simple in-use, heavy in possibilities this app gives you all the necessary functions of dictaphone. In addition recordings with no loss of quality, a set of effects and multilayered recording is a great way not forget to register affairs, thoughts, ideas and etc and finally edit them. Audio Genesis needs a review. Be the first to review this app and get the discussion started! Audio Genesis needs a rating. Be the first to rate this app and get the discussion started! 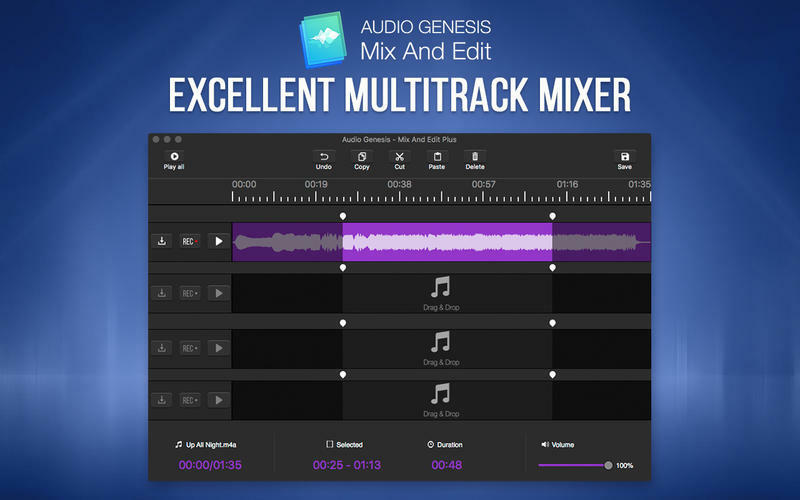 How to use: Audio Genesis Mix And Edit has an ability to write on the existed tracks (there may be 4 of them). You may use this option at a perfect profit at the stage of edition and arrangement the datas. Plus the app allows to apply the effects.